A validation master plan (VMP) outlines the principles involved in the qualification of a facility, defining the areas and systems to be validated, and provides a written program for achieving and maintaining a qualified facility. Master plans are written to assist an organization with validation strategies or to provide control over a specific process. The VMP is different from a validation procedure (SOP), which describes the specific process for performing validation activities. The VMP is beneficial for planning purposes because it identifies anticipated resource needs and provides key input into scheduling of project timelines. It documents the scope of the validation effort including impacted product, processes, procedures, facilities, equipment, and utilities. A VMP is a document that details the way a company will operate, who has control over the various aspects of the validation activities, and how production, quality control, and personnel management will be directed. The VMP allows companies to agree upon and document an overall validation strategy, which can be provided to regulators to serve as clear justification for the validation effort. The VMP allows manufacturers to show they are in control of their quality system and focused on quality. Management education – Upper management is not always aware of the necessity for validations and qualifications. They are focused on the company’s finances and business processes. The VMP educates management by presenting an assessment of the potential impact of manufacturing processes on product quality. Project monitoring and management – The VMP includes validation schedules and timeline for project completion. Auditing the validation program – The VMP describes all activities involved in the validation of processes and the qualification of manufacturing equipment and utilities. It provides the facility’s approach and strategy to validations, as well as a timeline for completion of validation activities in accordance with criticality. Planning purposes – The VMP identifies anticipated resource needs and provides key input into scheduling of project timelines. Title page and authorization (approval signatures and dates) – The title page must include the title, document number, and version. 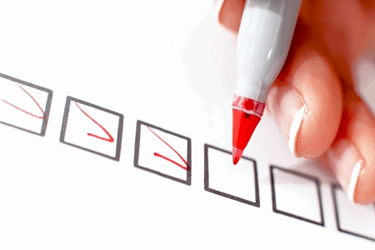 It must clearly identify the necessary management approval signatures, including those from QA. Table of contents – The table of contents provides a guide to the substance of the VMP. It should contain all the major areas of the VMP and where to find them within the document. Abbreviations and glossary – Abbreviations and glossary serve to define technical or organizational terms that may be unfamiliar to the reader. Validation plan – The VMP serves to identify what should be validated, and where, when, how, and why the validation should be performed. The validation plan must include a breakdown of the process into several parts and identify which processes are critical to the quality of the product and therefore require validation. Purpose and approach to validation – The purpose provides an overview of each process and describes the validation approach along with supporting rationale. It needs to be concise but still detailed enough to enable end users to quickly understand the what the document addresses. The validation approach defines the purpose of the VMP in demonstrating the critical equipment, systems, and processes perform as designed and intended. The approach assures all validations will be conducted prospectively following written and approved protocols. It addresses change control and qualification of equipment and systems and ensures they will be conducted in a manner consistent with policies and procedures. The approach states that specific equipment, systems, and processes to be validated will be determined based on a documented risk assessment. Scope of validation – The scope of the VMP addresses all activities related to equipment, utilities, processes, systems, and procedures that may impact product quality at the manufacturing facility. It must address specific systems, equipment, utilities, and procedures to be qualified, and processes to be validated shall be determined based on documented risk assessment. Clearly spell out what and who is (and is not) in the scope. All readers must have the same understanding of the starting point and the coverage of the VMP. Roles and responsibilities – This section defines the responsibilities of the validation department for preparing validation protocols, task reports, change control documents, and validation SOPs, and for maintenance and storage of all validation-related documents. Manufacturing and engineering will approve the VMP and all validation protocols, protocol deviations, change control documents, and reports. QA will review and approve the VMP, validation protocols, task reports, protocol deviations, change control documents, and SOPs for consistency with cGMPs, consistency with policies and procedures, and approval to implement. Outsourced services – This section covers the selection and management of any qualification activities or calibrations performed by an outside vendor. These services must be clearly spelled out in the VMP. Deviation management in validation – The VMP must address the procedure for documenting deviations. Ensure it states that deviations occurring during validation shall be documented and investigated in accordance with procedures or as defined in validation protocols, and that corrective actions taken, or corrective action plans, shall be reviewed and approved prior to, or concurrent with, approval of the validation report. Change control in validation – The VMP must state that all changes with potential impact on validated systems and/or processes must be addressed by established change management procedures. Risk management principles in validation – Risk management principles should be stated in the validation master plan as they apply to process validation, from the design and development of the process to maintaining the validated state of the process through its entire lifecycle. Training – The VMP must state that all personnel involved in the performance of qualification and validation activities must be trained in the tasks they will be performing. All validations – These include premises, utilities, processes, cleaning, equipment, analytical method, computer validation, revalidation, and qualification. Provide a general description of the facility and specifications in the VMP. Include all the major areas included in the validation plan such as the central plant, manufacturing areas, and material storage. Include reference drawings or attachments as necessary, and identify critical areas of the facility, such as GMP versus non-GMP areas. Describe manufacturing and cleaning processes to be validated, and include descriptions of major steps and equipment used in the process. General acceptance criteria must be met for a given piece of equipment, system, or process to ensure that it is operating properly and meeting its specific acceptance criteria as defined in the specific protocol for the equipment, system, or process. Validation matrix – The validation matrix should list the required validations throughout the facility in order of criticality. By matrixing the validations, a validation schedule can be implemented to carry out and execute the most important validations and qualifications first. References – The VMP must list documents impacting or providing guidance for the writing and execution of validation and qualifications. A team-writing approach for VMPs is advantageous because it ensures comprehensive knowledge from different perspectives. Team-writing involves people from diverse parts of the operation, which helps ensure all processes, equipment, utilities, and systems are addressed in the VMP. Team-writing also trains trainers, the people who write the VMP. Having participated in the in-depth decision-making about the VMP, the initiator knows it intimately and is more likely to be an effective trainer. When writing a VMP, keep in mind that it should be as lengthy as necessary to relay the necessary information, and an incomplete VMP sets the organization up for failure. An effectively written VMP is critical to an organization’s success as a quality manufacturer as well as to regulatory compliance. Poorly written VMPs are the source of numerous 483s and warning letters issued by the FDA. VMPs must be written in a concise, to the point, and comprehensible manner. Write as if the reader has no prior knowledge — this will result in simple, specific terms. Always write in active voice using present-tense verbs, and never give the reader a choice by using words like “may” or “should.” Be direct and decisive. A well-written and organized VMP will give clear direction and instruction for avoiding deviations and ensure the manufacture of quality products. Joy McElroy is the founder and principal consultant at Maynard Consulting Company, which provides services in validation engineering, process engineering, quality control, and quality assurance. McElroy began her career in the pharmaceutical industry performing environmental monitoring and sterility testing, and then moved into a supervisory role overseeing quality control. From there, she moved into QA, and then into equipment qualification and process validation. In addition to consulting, she develops and delivers webinars, on-site training, and seminars in areas such as technical writing, equipment qualification, cleaning validation, FDA audit preparation, and more. You can reach her at joy@maynardconsultingcompany.com or connect with her on LinkedIn.